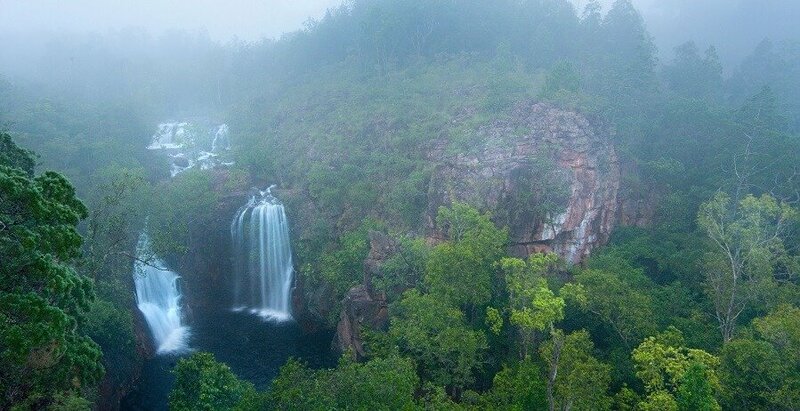 This 3 Day Kakadu and Litchfield Tour takes you through all the best spots of the top end of Australia, including lush waterfalls, pretty national parks, and the rich cultural heritage of the region. 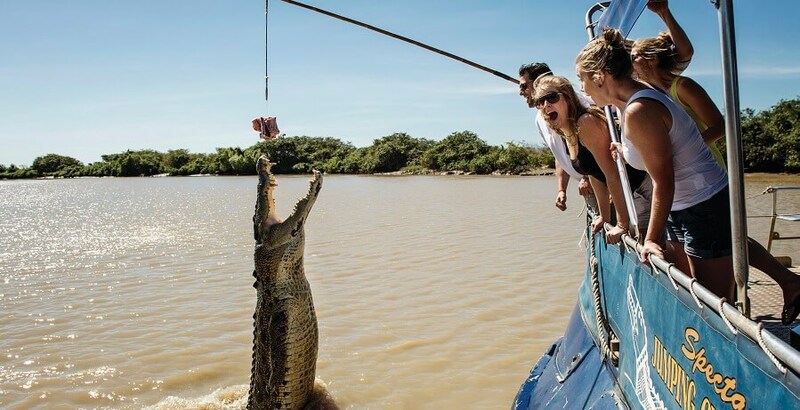 The 3 Day Kakadu and Litchfield Tour kicks off straight away as we head to Kakadu National Park for a crocodile jumping cruise. Learn more about Australia’s prehistoric creatures and spot other wildlife as you go before we have a picnic on the East Alligator River banks. 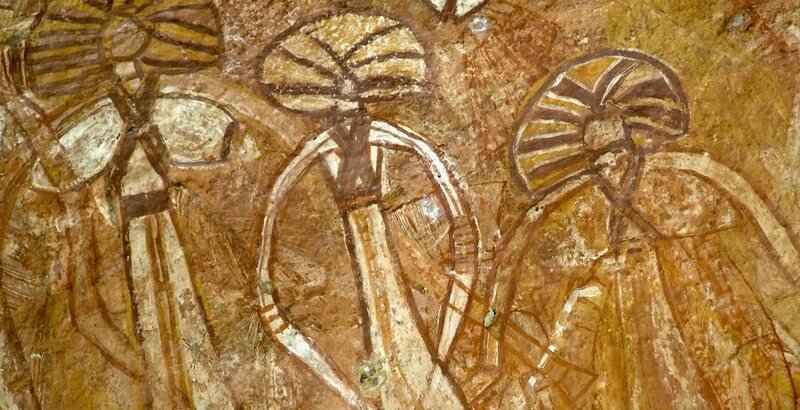 In the heart of Kakadu, we’ll take you to Nourlangie Rock to discover centuries-old rock paintings by local Aboriginal tribes. We’ll make a pitstop at the Warradjan Cultural Centre and enjoy picturesque views from Gunwhardewharde lookout. In the evening, we’ll go to Mardugal Safari Camp, where we’ll have an Aussie BBQ and bed down for the night under the stars. 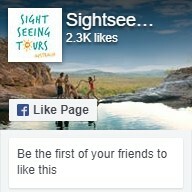 The first stop on the second day of the 3 Day Kakadu and Litchfield Tour is Gunlom Falls or Yurmikmik. We’ll take a short walk and reward ourselves with a refreshing swim at the Ikoymarrwa Rock Holes. The area here is only accessible with a special permit as it is a culturally sensitive region. 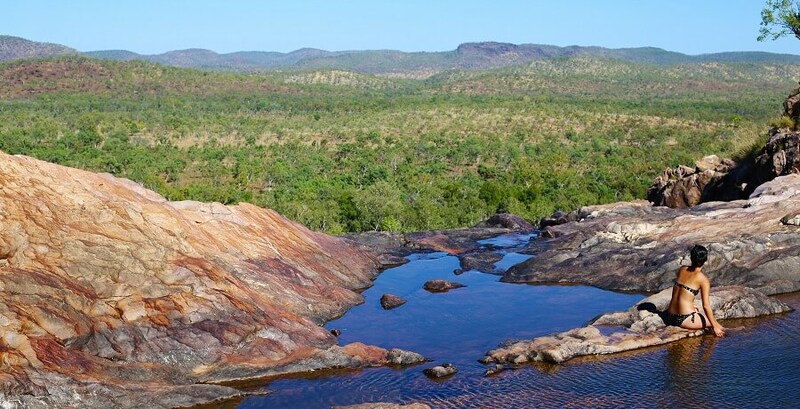 After we’ve explored everything on offer, we’ll head to Pine Creek, our camp for the night, where you can choose to sleep under the stars or in an air-conditioned room. 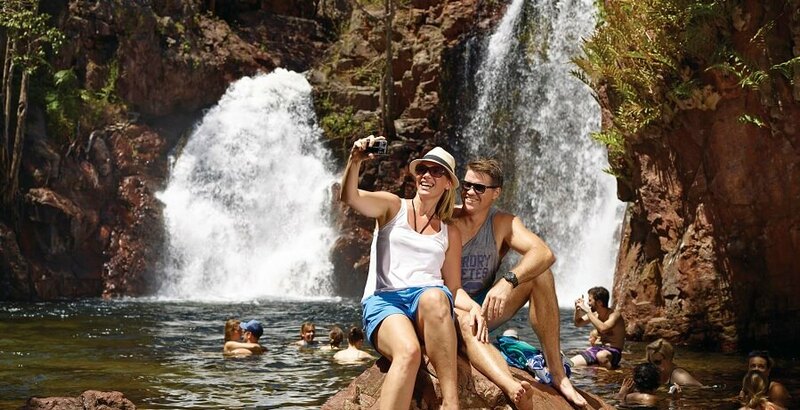 The last day of the 3 Day Kakadu and Litchfield Tour takes us to Litchfield National Park, where we’ll make a pitstop at Wangi Falls with its impressive plunge pool. Afterwards, we’ll take you to Tolmer Falls, which boasts incredible views over the pretty landscape. 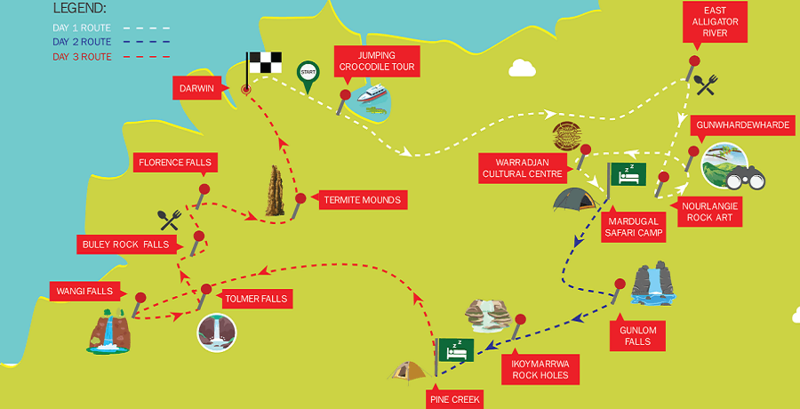 Here, we’ll tuck into a picnic lunch at the Buley Rockholes before heading to Florence Falls. 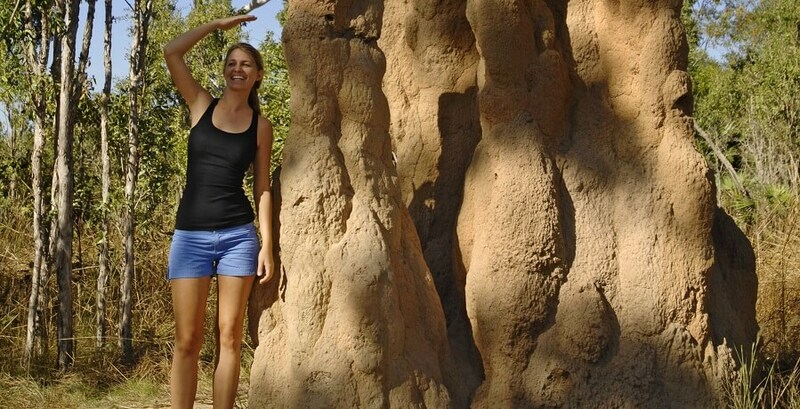 On the way back to Darwin, we’ll stop off at the termite mounds in Litchfield.